Great story, just way too short. The day Stacey Grant loses her job feels like the last day of her life. Or, at least, the only life she'd ever known. For who was she if not a City high-flyer, Senior Partner at one of the top private equity firms in London? 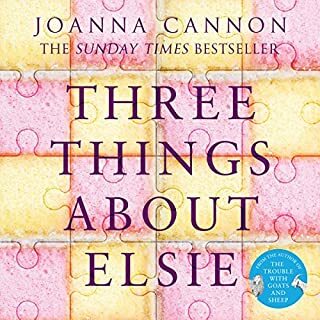 As Stacey starts to reconcile her old life with the new - one without professional achievements or meetings but instead long days at home with her dog and ailing mother, waiting for her successful husband to come home - she at least has The Girls to fall back on. Beth, Melissa and Gaby. 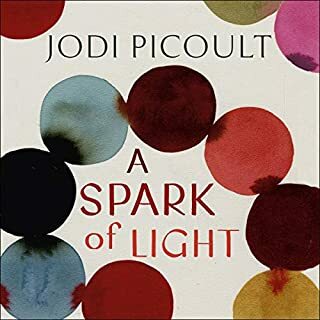 Exploring the complexities of race relations in modern times, Jodi Picoult challenges us with ideas about justice, empathy and free will. 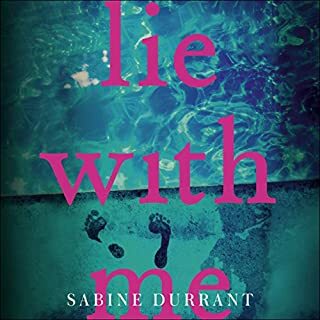 Written with a raw honesty, this audiobook delves into deeply emotional issues about birth and death with an emotional fix that will stay with you long after the last words are spoken. 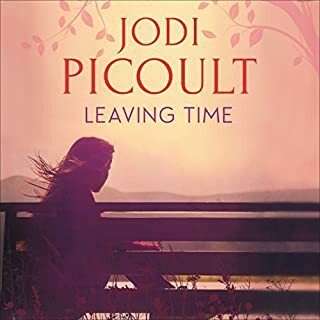 The new audiobook from number one best-selling author Jodi Picoult, with the biggest of themes: birth, death, and responsibility. When a newborn baby dies after a routine hospital procedure, there is no doubt about who will be held responsible: the nurse who had been banned from looking after him by his father. What the nurse, her lawyer and the father of the child cannot know is how this death will irrevocably change all of their lives, in ways both expected and not. Challenging - one of the best! 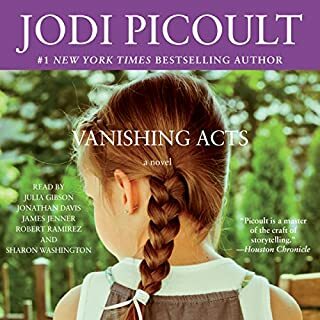 Challenging with all the Jodi Picoult twists and turns. I struggled initially because I felt uncomfortable. "I'm not racist, I'm not!" I think that should read, "I'm not intentionally racist." But it's about so much more in the range of human emotions that JP draws for us so skilfully. A true 10 out of 10. This book made me reassess my reaction to racism. 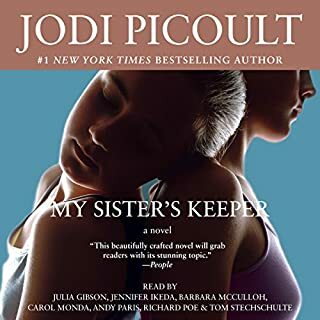 I thought it was well researched and, of course, extremely well written by Ms Picoult. 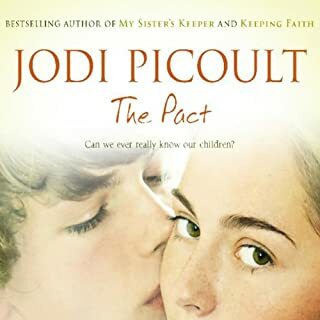 My Mum and I always exchanged Jodi Picoult's books and discussed them. Mum passed away last year and it's my first book without her but she would have loved it. I had no idea there was so much racism in present day America. it makes me wonder if there is the same amount in Britain that I don't see. The novel involves the difficulties of parenthood, the system of law as well as race. There were parts that made me openly weep, some with joy and some with sadness. A brilliant book that inspired me to write my first book review. 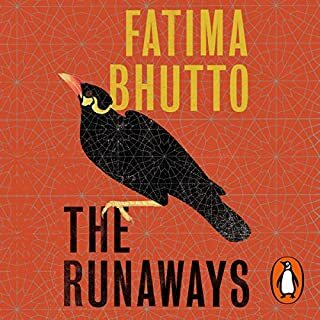 Brilliant one of her best novels !! Absolutely loved it couldn't stop listening. Really excellent narrators bring the story to life for you. 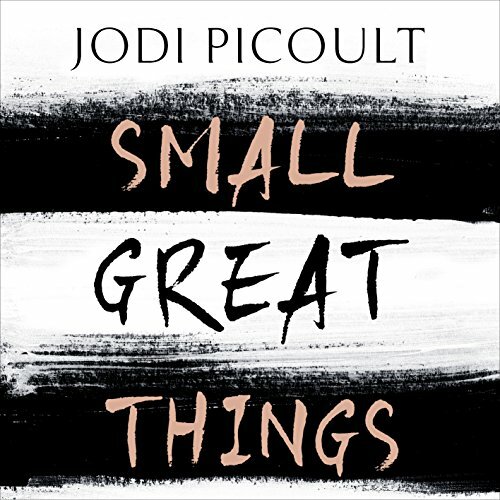 Would you listen to Small Great Things again? Why? I really enjoyed this book and have already recommended it to friends and family. It covers some difficult topics and raises important questions about discrimination. It was great to hear from each character in turn so you get a thorough insight into their point of view, whether you agree or not. Each character goes on a journey and has changed significantly by the end of the book. This book makes you re-evaluate your own perspective on racial prejudice. It is brilliantly written and wonderfully told. It makes you feel uncomfortable at times and certainly made me think about my own behaviour. 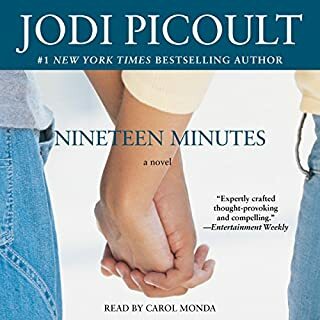 The best Jodie Picoult book I've read to date. I absolutely loved this book. 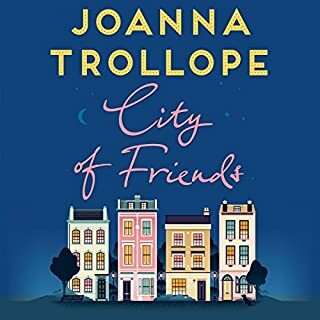 I was gripped from start to finish and felt lost once I'd finished listening to it and found I missed the characters when I started on my next book. It taught me so much that I wasn't expecting either. Jody has done herself very proud here! Best book I've listened to in quite a while! This book is totally awesome! Beautifully written and read, eye opening and gripping subject matter. The fabulous story has made me view the world and all the mix of people in it in a different and much more informed way. I wish I'd read it years ago! 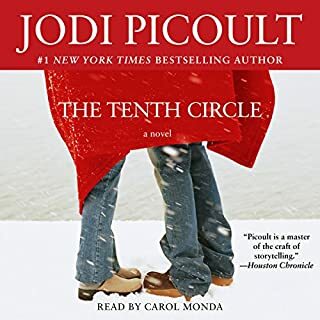 I loved the voices in this audio book .The story was excellent and I had to carry it around with me until it was finished . Ruth was a strong and honest character. I loved that the story followed through to the future for the main protagonists . Difficult topic, but so effective in addressing the white elephant in the corner. Well done Jodi! It is a book that changed me, my thoughts. Change start with you! Do small great things to change the view of others ! Took me on a roller coaster of narrative and reflection on self and the world and the way in which we connect with others. Well worth the read. 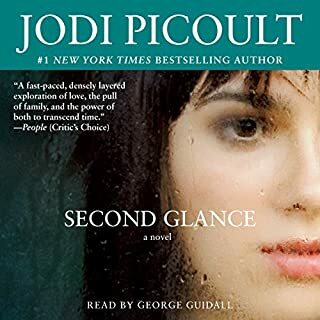 I cannot express strongly enough how much I loved listening to this book. It was supremely entertaining, the narrators all brilliant - it was challenging and has had a profound effect on my perspectives. Living in SA means racism is a daily part of our national discourse as we navigate a post-apartheid era where scars run deep and it’s dissected with regularity - so I often avoid choosing books that deal with it. This book is different and I encourage you to dive in, learn and grow. 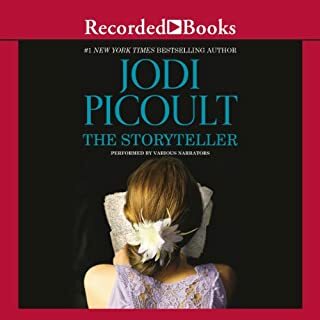 As with all Jodi Picoult novels the story was well thought our and researched. Narration was wonderful. 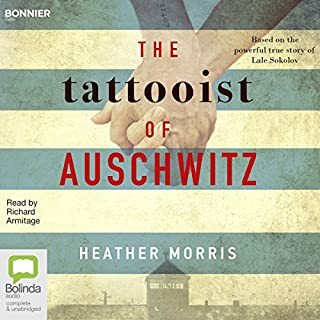 I immensely enjoyed listening to this audiobook. Challenging topic exposed for the right reasons. 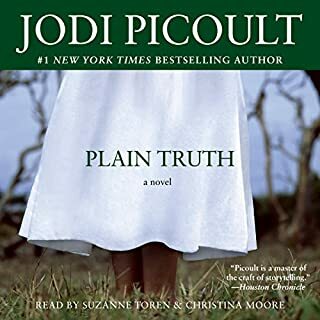 I am a big fan of Jodi Picoult! 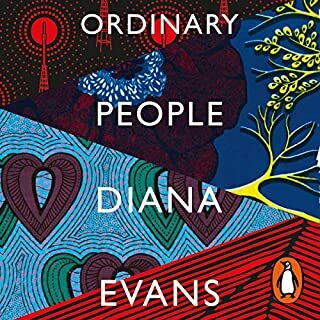 Her stories always challenge the way you think and provoke emotions in a way that is both unnerving and invigorating at the same time. This story forces you to feel uncomfortable, confronted, and offended... but you walk away feeling like you’ve learnt something about yourself. And hopefully changes how you view the topic of racism at the same time. Was Small Great Things worth the listening time? expected better based on past books. 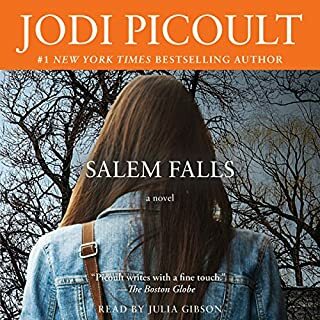 Jodi has set her standards much higher, so call lower rating for this book a victim of her own successes. I grew in myself through the words of this talented writer. 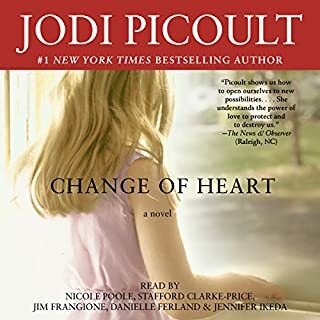 Thank you Jodi Picoult, for being brave enough to write this book. This book resulted in much soul searching! She once again made me examine my "traditional" beliefs. I have so much admiration for Jodi's different approach to sensitive subjects and the depth and integrity of her research.